HANDN TOPMETAL CO.,LTD. has been in the line of geotechnical engineering products for many years. 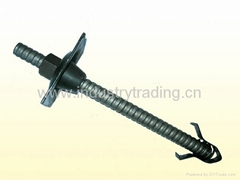 The company has supplied the quality products and excellent service to the customers of many countries in the world. Management team of the company is consisted of experienced specialists in the products and exporting. She enjoys good reputation in the relevant lines. 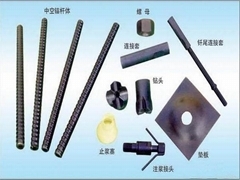 The company mainly supplies the micropile tube, threaded hollow bar, solid threaded bar, PC strand and the accessories for civil engineering and underground construction. 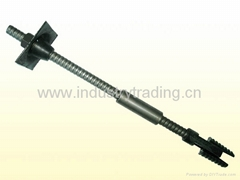 The products features a wide range of applications such as micropiles, rock bolts, soil nails, ground anchors, port tie rods, etc. 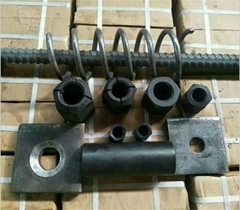 The company has her own factory, and also keeps deep, smooth and stable relationship with the cooperated manufacturers, thus ensures the company to supply the products of the reasonable price and good quality to the customer by the timely and steady delivery. Customer satisfaction is at the forefront of our performance at all times. The company is deeply committed to conducting themselves with great integrity, morality and fortitude. It is through our reputation and passion for excellent that we can continue to grow.